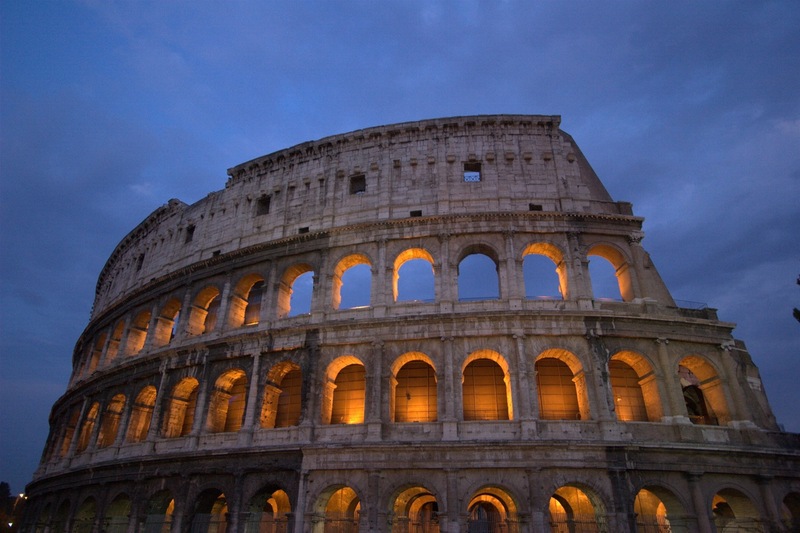 Are you dreaming of a holiday in Rome? Built by Marcus Agrippa before the birth of Christ in honor of Augustus it was later restructured around 120 AD. The Partheon is the most imposing complete building surviving from antiquity, its preservation because from 609AD it was converted into a church and cherished by the pontiffs. The building mixes varying geometrical shapes - square, sphere, and cylinder, and fuses two architectural styles, the style typical of the temples, and that of the thermal baths. The dome is 43.30 metres high and wide. The cRowning feature of St Peter's is the dome by Michelangelo which is visible from every part of the city. 537 steps and from the top you can enjoy a view of Rome. Inside the Basilica is over 210 metres long and the dome is 136 metres high. Most important is the Pieta by Michelangelo - the only work signed by him, also the Baldachin by Bernini - a gigantic baroque structure upheld by spiral pillars. Placed over the papal high altar and the Tomb of St Peter, its 99 lights are kept permanently lit to illuminate the tomb of St Peter.. The Sistine Chapel was built at the end of the 15th century by Giovanni Dolci. Its walls are frescoed with 12 paintings by Perugino, Pinturicchio, Botticelli, Signorelli and Ghirlandaio, and the greatest masterpiece being the frescoes of the vaults painted by Michelangelo for Pope Julius 11 between 1508 and 1512. The restoration of the ceiling between 1985 and 1989 revealed pure color, which caused doubts and incredulity which is still discussed.